Personal Navigators, and other handouts from the Halloween on the High Seas 3-Night Bahamian Cruise from Port Canaveral. The Disney Dream set sail from Port Canaveral on September 7, 2018. 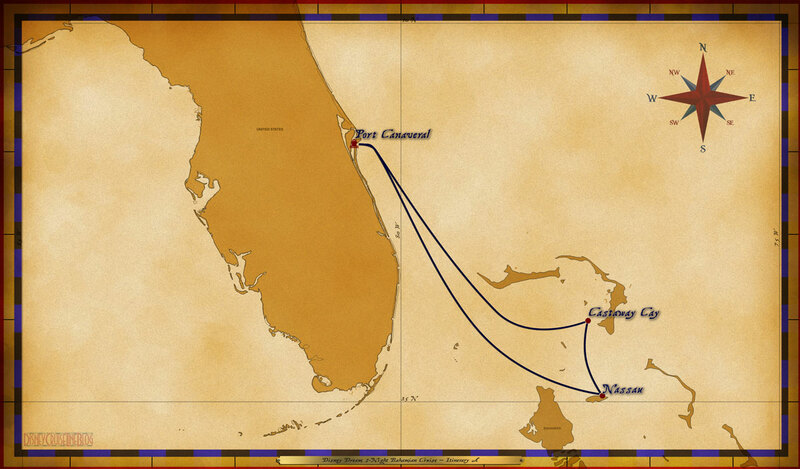 There are additional Personal Navigators from other sailings of this same itinerary for comparison. During this cruise, the ship was under the control of Captain Andy McRonald. The Cruise Director during the sailng was Carly Scott. Thank you Nichole Perry for sharing. This entry was posted in Personal Navigators and tagged Castaway Cay, Disney Dream, Halloween on the High Seas, Nassau, Port Canaveral by Scott Sanders. Bookmark the permalink. Since Halloween and pirate night is the same night, did most people dress as pirates or in Halloween costumes? Nicole, it is normally a mix.